How to Clear Cache on iPad Air/Mini Easily – iMobie Inc.
How do I clear cache on iPad? This guide will give you an easy way to meet your demand. 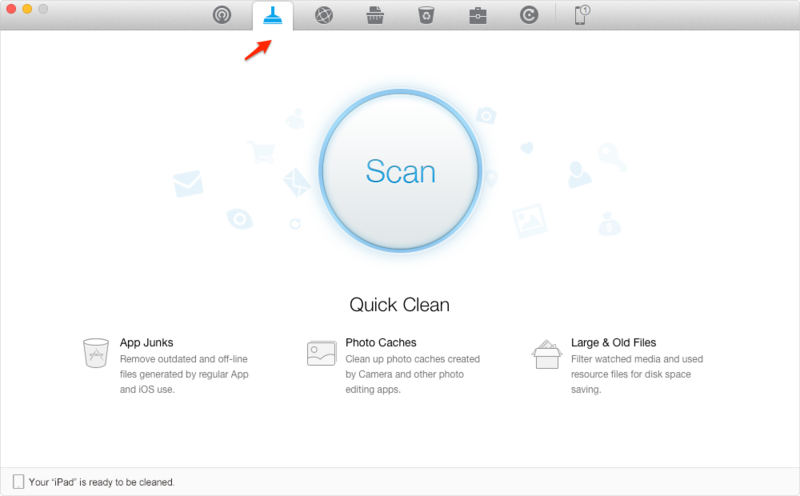 Free download and install PhoneClean to help your clean caches on iPad. Please read this tutorial on how to clean caches on iPad at first. iPad is transforming the way we learn and work. Like iBook gives you a chance to interactive materials with Author, iTunes U let you have access to watch all kinds of educational course videos. Pages, Numbers, and Keynote could let you produce your better work at anywhere and anytime as you like. As for iPhoto, iMovie and Garage Band let you to create and edit the composition for suddenly inspiration. With convenience that brought by iPad, we could gain knowledge and improve our creativity of work. However, when you are enjoying the convenience brought by iPad, The unwanted caches could pile up to waste your finite space, App caches could even occupy over 1G space as times goes by, not to speak of photo caches, safari caches etc. Therefore you can free up adequate space by clear caches on iPad. How do you clear cache on iPad? You need a good assistant like PhoneClean to do that in an easy way. PhoneClean is a cleaner to wipe out the unwanted content of an iPad, iPhone, and iPod touch. 1. Supports deeply scanning and swiping the caches, cookies, call history, messages, temp files etc. 2. Boosts up your iPad running speed and the whole performance with just one click, this means both of basic users and advanced users can use it with ease. 3. Backs up files before doing any scanning and cleaning. Let user free up from worrying about deleting important data by mistake. PhoneClean is an all-round and risk-free iOS cleaning and optimization solution. Free download and install PhoneClean on your PC/Mac, open it up and connect your iPad to PC/Mac via a USB cable. Step 1. Run PhoneClean > Click on Quick Clean on the homepage > Tap Scan button. Step 2. 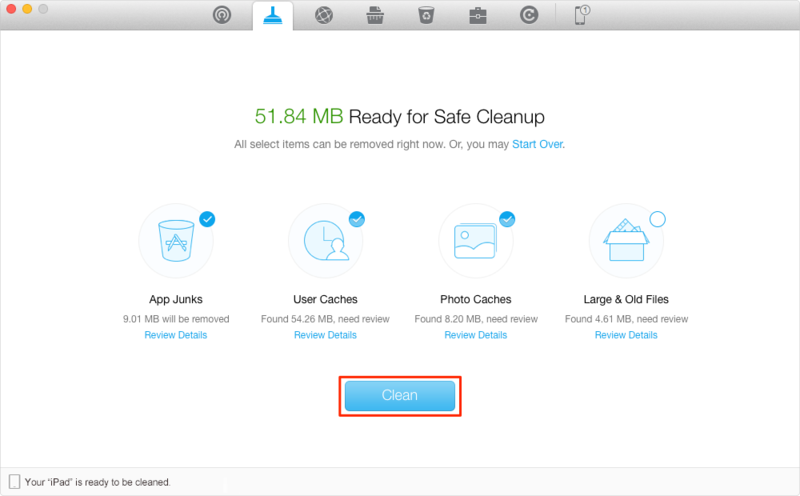 Select the caches you want to clear > Click on Clean. Note: As for privacy like Webmail Caches and Safari Caches, tap on "Internet Clean" on the homepage of PhoneClean. Click on Scan button. You can see the scan result and choose the "Clean" button to delete. The steps are same as mentioned above. PhoneClean could bring you a new experience to enjoy your Apple life. If you still have any question, please don"t hesitate to inform us by leaving a comment. If this guide is very useful, please share it with your friends. Why not give a shot on it now?